From £10 - includes entry and goody bag. UrbanExplorer presents its second Smart Thinking For Kids event this autumn, this time with a screening of That Sugar Film and an expert Q and A at the Royal Geographical Society. The film sees Damon Gameau embark on a unique experiment to document the effects of a high sugar diet on a healthy body. Interestingly, however, he only consumes foods that are commonly perceived as 'healthy', illustrating how even when we think we are doing the right thing we could in fact be harming ourselves. With a powerful message, it was this film that inspired Jamie Oliver to take on Parliament with his Sugar Rush TV documentary and initiative. After the screening, there will be a panel discussion with experts in nutrition, health, science and healthy cooking, including super-cooks Hemsley + Hemsley, nutritionist and author Henrietta Norton, chef and television presenter Merrilees Parker, and cardiologist and Guardian columnist Aseem Malhotra. Aimed at children eight and above, the series of UrbanExplorer events aim to inspire and motivate children and adults alike, with this event empowering families to make positive changes to their diet and health. What are the best dining options near UrbanExplorer presents: 'That Sugar Film' London? 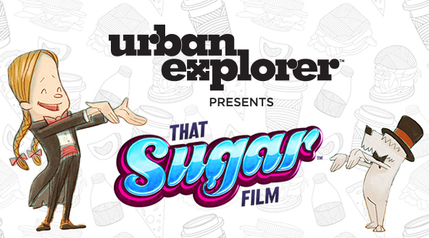 UrbanExplorer presents: 'That Sugar Film' gyms, sporting activities, health & beauty and fitness. The best pubs near London UrbanExplorer presents: 'That Sugar Film'. UrbanExplorer presents: 'That Sugar Film' clubs, bars, cabaret nights, casinos and interesting nightlife. Where to have your meeting, conference, exhibition, private dining or training course near UrbanExplorer presents: 'That Sugar Film'. From cheap budget places to stay to luxury 5 star suites see our deals for Royal Geographical Society hotels, including Cheval Thorney Court Apartments from 56% off.